This Weight Loss Self Hypnosis Tape exercise comes from the first program I ever offered that included Mind Power Technique . Remember cassette tapes? Yes, I know I date myself. But if you remember using them too, you are right here with me! My weight loss self hypnosis tape was offered in a six pack of cassette tapes. With all the speed and efficiency of iPods and MP3 players, it is hard to imagine the amount of work that went into taping and editing cassette tapes! It seems a lifetime ago! Now I use that image as a powerful tool in the Platinum Weight Loss System, an updated version of the old weight loss tapes that goes far beyond simply trying to Think yourself Thin. with self hypnosis. It is a powerful habit change technique that you can actually apply to making changes in all parts of your life. When we are talking about using mind power to make changes so we can lose weight -- the image of recording, re-recording and editing on a cassette, makes for a terrific image or metaphor for changing behavior. Think of life like an ongoing movie that you star in. Imagine that all your day's events - the things that happen to you from the moment you wake up, and all day long - all of this, is on tape. The people you meet on your way to work, where you stand or sit, what you eat, everything you say, all of it - is recorded. Imagine at the end of the day you could EDIT the whole day, so that everything that already happened, could be changed to happen exactly how you wished it had happened? 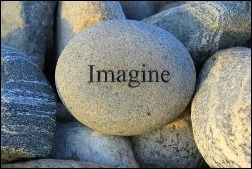 The idea is to imagine a different outcome and "reprogram" the behaviors that get you to that result. We use our imagination as a tool with self hypnosis or hypnosis for weight loss, to mentally rehearse and "program" our eating and exercise habits. Say today at lunch with your friends, everyone was ordering macaroni and cheese, it was fast and easy and of course it was yummy too. Now what happens is the next time you are in a similar situation, your imagination will have the picture of you choosing a healthy lunch, as if you had actually previously chosen it. Mind power techniques like this one are designed to make you more conscious of desired behaviors, aligning conscious goals with your subconscious mind programming. The weight loss self hypnosis tape edit technique is your secret weapon for weight loss. Because you use your mind to change the way your day went. When we use our minds, we get to practice or edit ourselves making better choices. The secret weapon is your imagination! When you practice with your imagination, creating an image of yourself making better choices, your imagination holds onto that image. Then the next time you have to make a choice, your imagination kicks in, and you have an automatic response, one you have already practiced in your mind! What happens if you just try to tell yourself you WILL order chicken salad over macaroni and cheese, you WILL. Maybe you even make yourself write it out 10 times on paper? Is this enough to make ordering a healthy meal automatic? Or will it simply be another way to make yourself feel bad or guilty if you don't do what you "willed" yourself to do? Now, instead of trying to make yourself order a healthy meal, you have a secret weapon! Because you have practiced with the tape edit technique, you have already used your imagination to feel good and satisfied after lunch. Your choice is now automatic, no willpower required. Your imagination simply brings up the image of you ordering, you have already practiced this event, or one just like it, in your mind. Presto, no willpower needed, you order and are satisfied with your healthy choice. To lose weight you do not want to keep relying on motivation and willpower, if that was all it took to lose weight, most people would not only easily lose weight, they would keep it off! Everyone I have ever met who has started a diet has tons of motivation and are excited to get started. 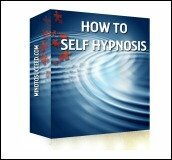 The weight loss self hypnosis tape technique gives you the tool to change your behavior. First, you will change it in your mind, and with no effort your behavior will be automatic the next time you are in a similar situation. The weight loss self hypnosis tape technique is a guided technique, which means you pop the MP3 on, and I guide you into a nice relaxed state. Together we give your subconscious new images. This tool is at your finger tips anytime you want need to listen. The behavior changes you are making will be automatic! 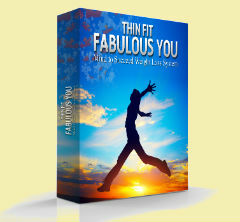 The tools which use the image of editing a tape, can be found on both our Platinum and our Gold weight loss audio's. And can be used every day to help bring about weight loss and real change, even if cassettes are no longer in existence! 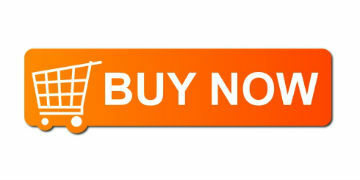 For more information on our weight loss audio's, head over here Mind To Succeed Weight Loss Audios. Can Hypnosis Speed Up your Metabolism?